That single bead of sweat. It's easy to see it roll down the side of John Grant's face and chalk it up to being induced by the balmy weather occupying the Australian outback, but I know that kind of sweat. It's the kind that would be there even on the coldest of days. It's the kind that I would wipe away while watching money exchange hands due to some sort of gambling taking place in my vicinity. When I was younger, still a teenager with no appreciation of the value of the dollar, the thrill of a wager would get my heart racing, my blood boiling, and my teeth chattering in excitement. As crazy as it sounds, whether I won or lost was irrelevant. Just having the opportunity to put my money on the line made me feel alive. I know that single bead of sweat rolling down John Grant's face. 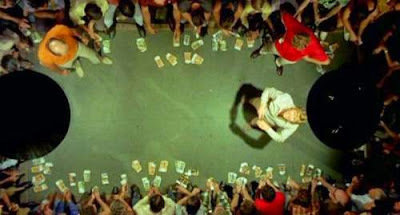 I could practically feel it on my own as he fights the temptation to join a raucous game, one involving piles and piles of cash betting on the simplicity of heads or tails, a battle he would inevitably lose in more ways than one. His original plan was to stay for only one night with a plane to catch the next morning, but when the dust settles, when the wildlife are riddled with bullets and the booze finally stops flowing, it's safe to say things didn't exactly go according to plan. 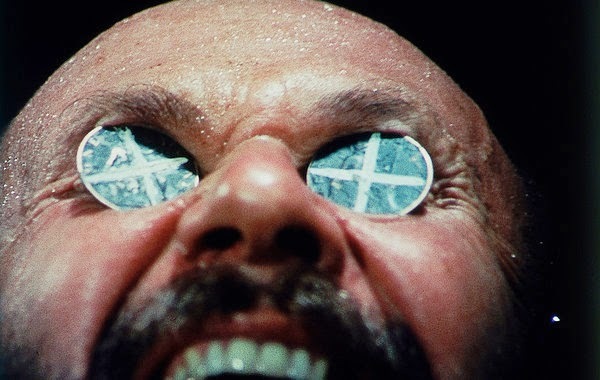 Wake in Fright, directed by Ted Kotchef, is one of the key pieces of Australian cinema and rightfully so, although this is a movie that hardly goes down smooth. A disturbing look at how tortured and unsettled the human psyche can be, the tone is set during the opening shot of the film when the camera is high above a land that can only be described as stark, barren and desolate. We circle around a few times and admire the bright, vibrant hues of a setting that is disarmingly warm in color and yet something about it feels so cold and lifeless. By the time his journey comes to an end, the mental state of John Grant had me replaying those initial frames all over again. By the time the film literally ends, that very same shot feels like a warm and welcome breeze, a chance to relax after a frenetic cinematic fever dream.